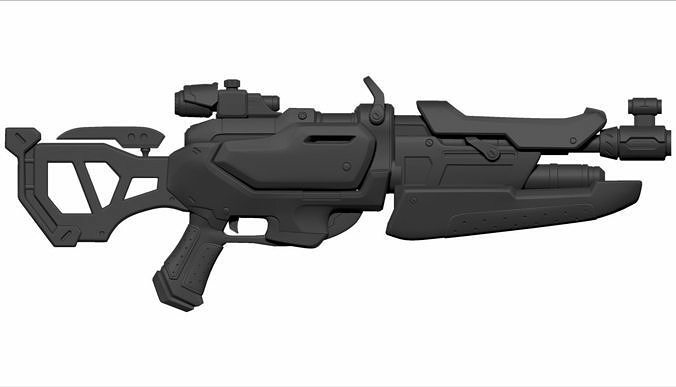 3d printable Overwatch Game weapon Model. Model shapes and dimensions may not be 100% accurate. It contains 17 pieces total. No moving parts. It has snapping points but needs to be glued. Please contact for custom modifications (free).